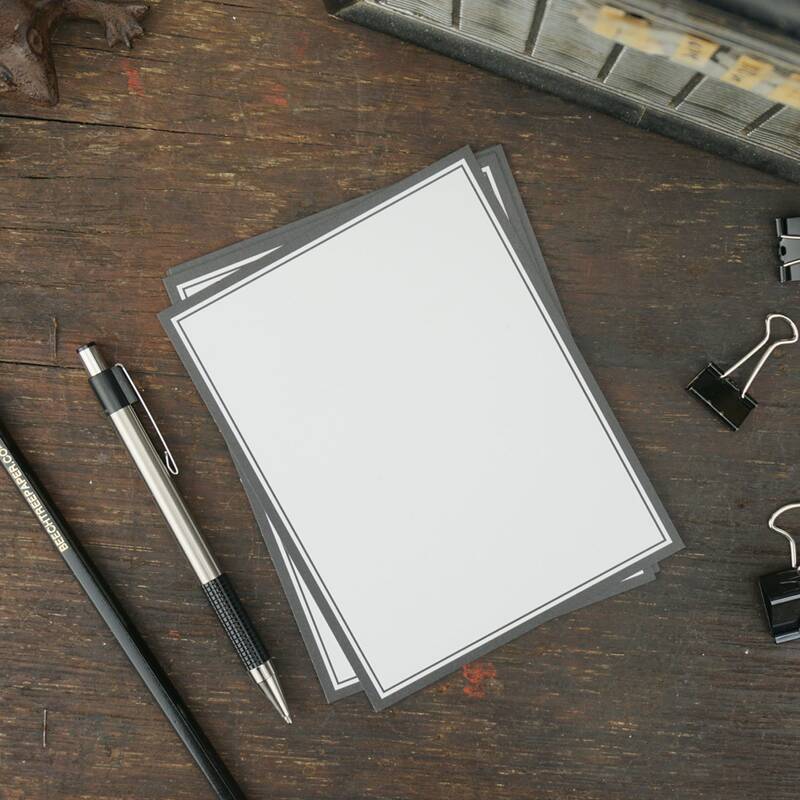 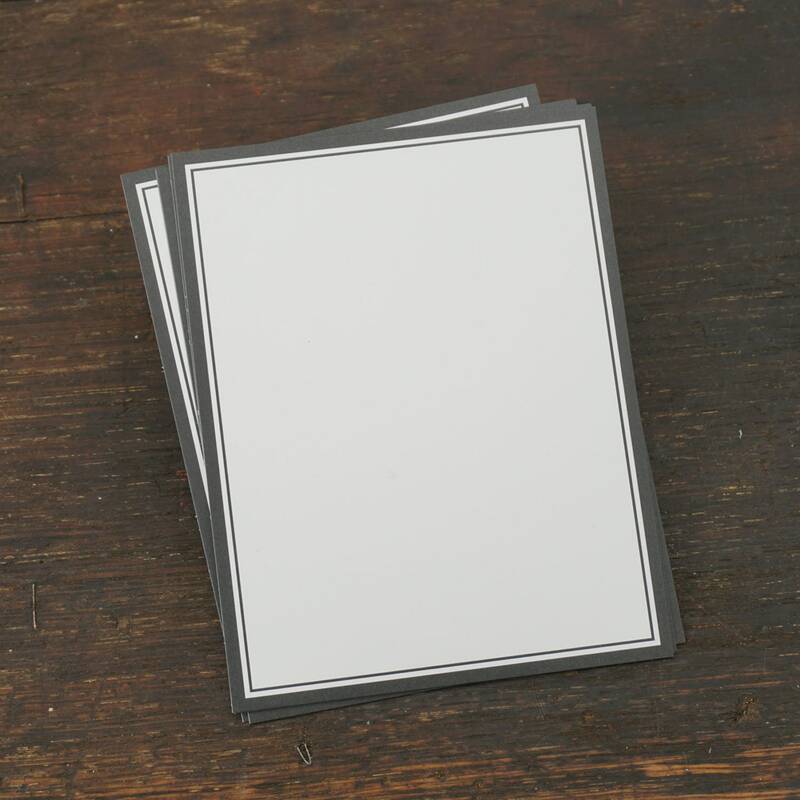 Black double outline blank flat cards (A2 Size) with white envelopes. 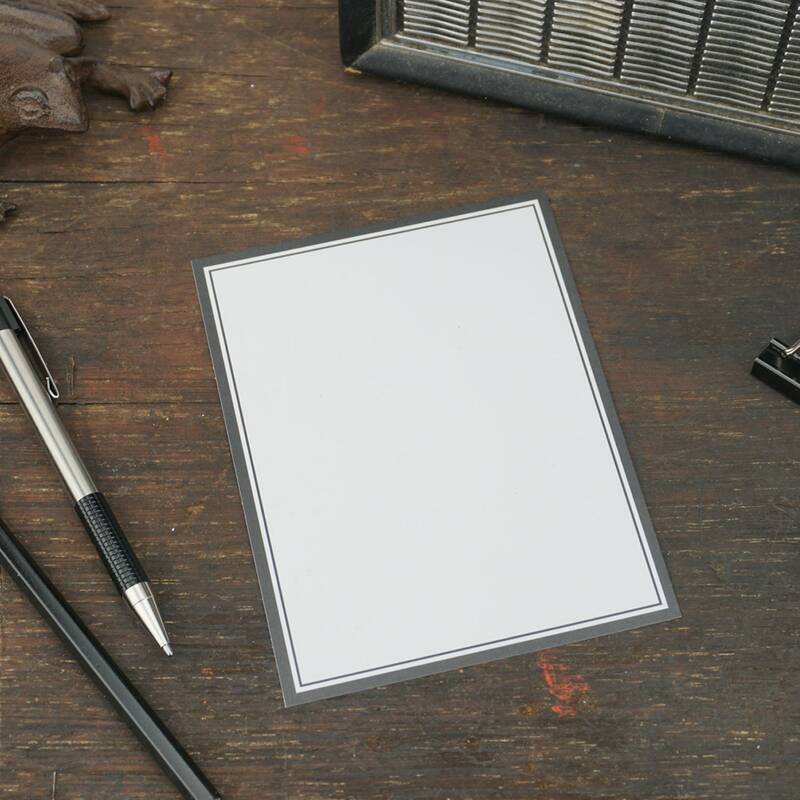 Simple black double outline on white background. 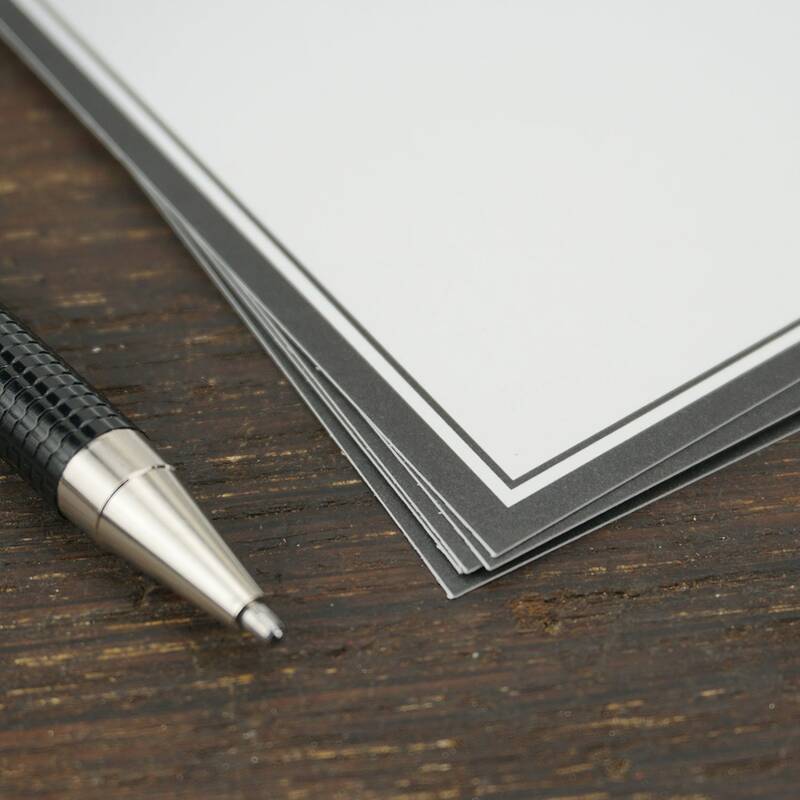 Flat matte finish on cards. 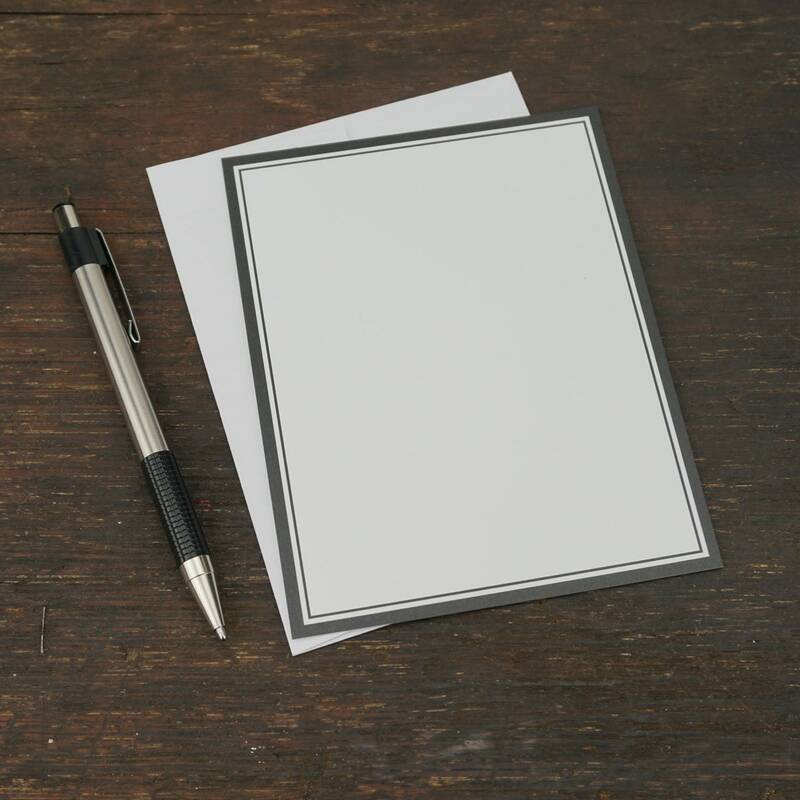 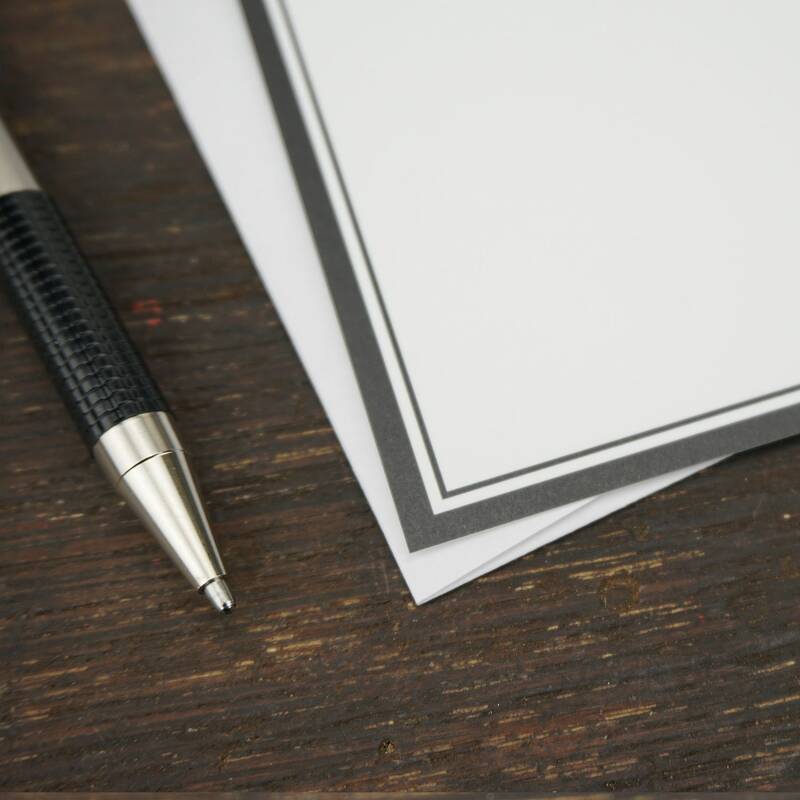 A simple, elegant flat card can be used for a quick note to a friend, thank you notes, business thank you cards, simple enough for any occasion. 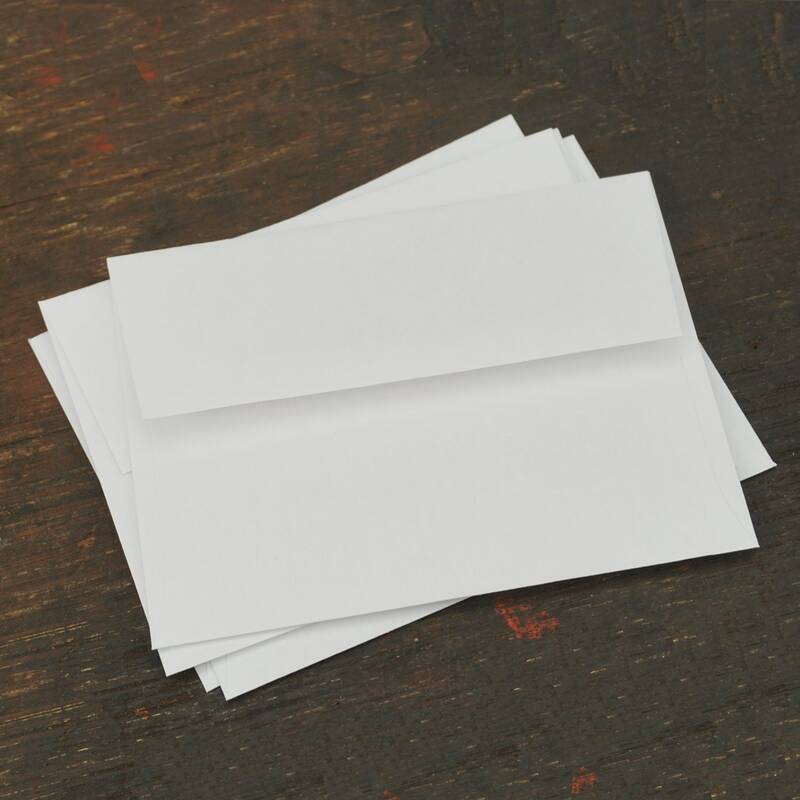 Set of 25 flat cards with envelopes. 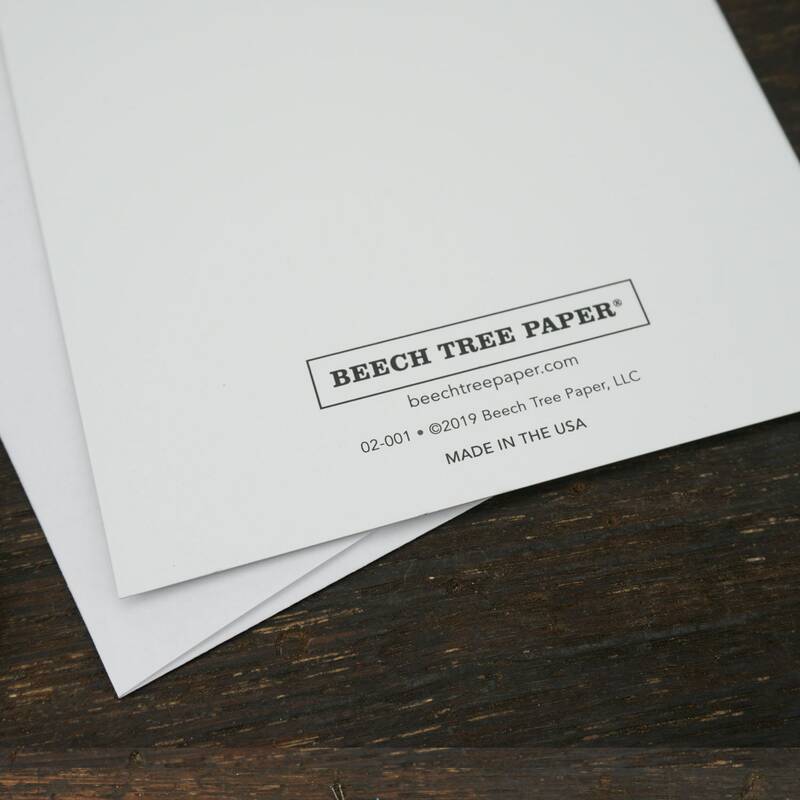 This 14 pt medium weight card stock is paired with a 24lb white A2 size envelope. 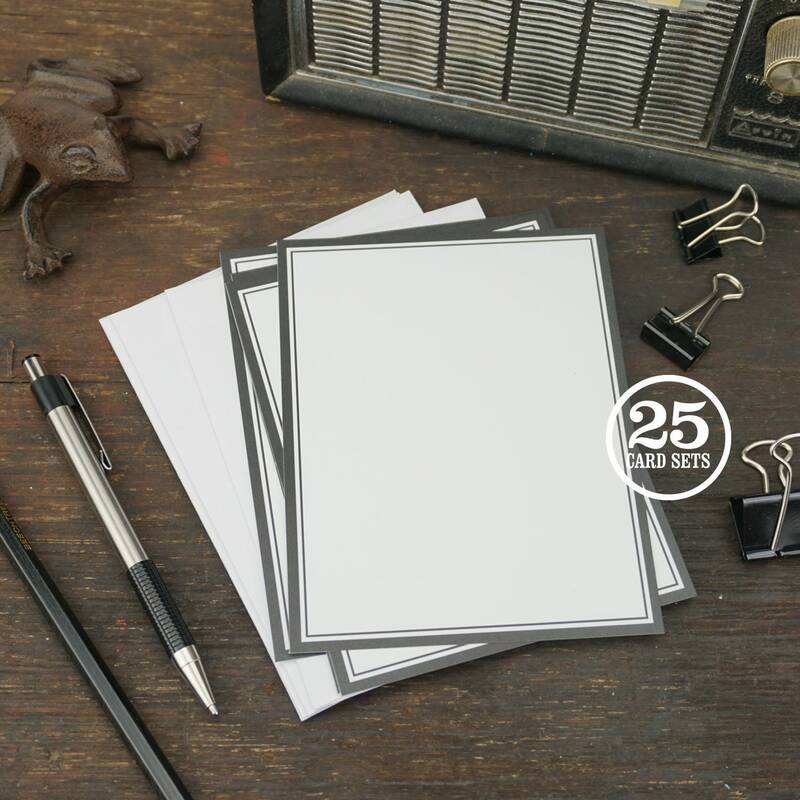 The matte uncoated finish on the card works great with pen or marker to write your message.